Clicking on the engine section will give you all the information you need to know about your Docker engine. You can use the command options and arguments to override the default. Just a data point for those who now find this question through search. The Docker client is the primary way that many Docker users interact with Docker. I know this is kludgy, and it likely uses more resources than another method, but it does work. Image: Jack Wallen At this point, it's nearly impossible to avoid using containers in your company. Use your network interface obviously. On a fresh machine as root , install Docker by running the script from. Mine was igb0 As far as Rancher on bare metal, I have no idea. Log out and log in for this to take effect. If the container is restarted, the flag will be ignored That's it! I was considering doing what you've done as a replacement for the lost docker functionality in Corral. I need to install Python 3. Now we are ready to deploy a BrewPi container. 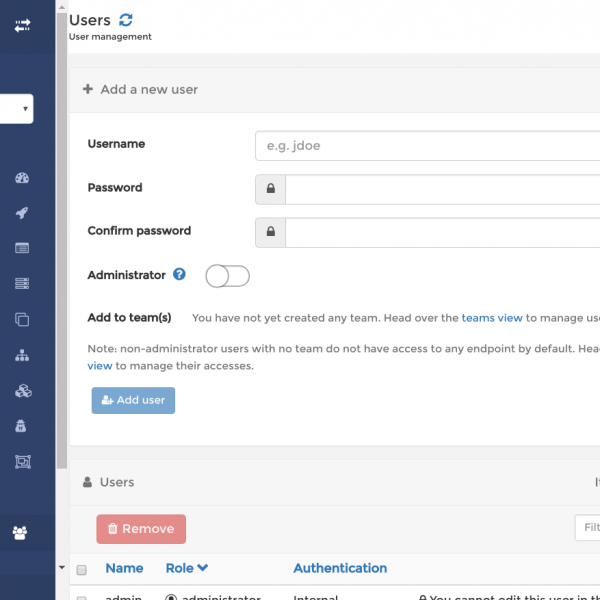 Portainer has a that you can try out login with the username admin and the password tryportainer. If you do this, you will lose any changes you made inside the container. You can autocomplete commands and paths using tab. I even terminated the instance and started from scratch but still it directly takes me to the login page instead of asking me to set a password. In case the creation of the image pull secret is successful, it is selected by default. The lists summarize actionable information about the workloads, such as the number of ready pods for a Replica Set or current memory usage for a Pod. By default only objects from the default namespace are shown and this can be changed using the namespace selector located in the navigation menu. It is limited to 24 characters. What is really unique about Portainer is that it itself is a Docker container, so we're going to have a bit of recursive fun. Portainer Community Edition is the foundation of the Portainer world. Leave 'pull latest image' ticked. If I needed to do more, I would just clone this file and name it something else, nfs-moreshares, or whatever. Dashboard also provides information on the state of Kubernetes resources in your cluster and on any errors that may have occurred. If you omit this step, clicking on exposed ports of a container will link to 0. Tried everything, still stuck on the same part. For example, selecting Images gives you a list of all the images pulled. I then moved over to using iohyve and bhyve from the command line to get this working. Question, how are you restarting the stack each time? For external Services, you may need to open up one or more ports to do so. These virtual clusters are called. Select where the pool you want, and the main network card you want attached. This tool is really quite remarkable and should be considered by anyone that manages a Docker system. It must start with a lowercase character, and end with a lowercase character or a number, and contain only lowercase letters, numbers and dashes -. If this is not the right place to post this question, I am extremely sorry but please do let me know where can i get help on this. Just make sure that each container needs to have a unique name and that running containers cannot use the same port on the host. As you can see below, you get a nice view of the stdout and stderr output: The same goes for Docker stats. Now, about your link between Ningx and your database. Browse to the BrewPi container and click 'recreate'. Finally click on 'endpoints' in the left menu. On the Containers page, you will be able to see a list of all your containers. The prerequisite is you need to have the Docker Engine installed on a Linux machine, which makes it a Docker host. If you run into trouble, omit -d to see where it errors. I don't know if Portainer supports this, because I never actually got that to work, but did a simple sudo ros service rancher-server-stable enable and sudo ros service rancher-server up to get Rancher up and running. Dashboard offers all available secrets in a dropdown list, and allows you to create a new secret. I used Apply Owner for user and group and set them both to docker, permission type was unix, and I set it recursively. Would you say this is the right approach for Portainer since it is something different? Yes No Thanks for the feedback. 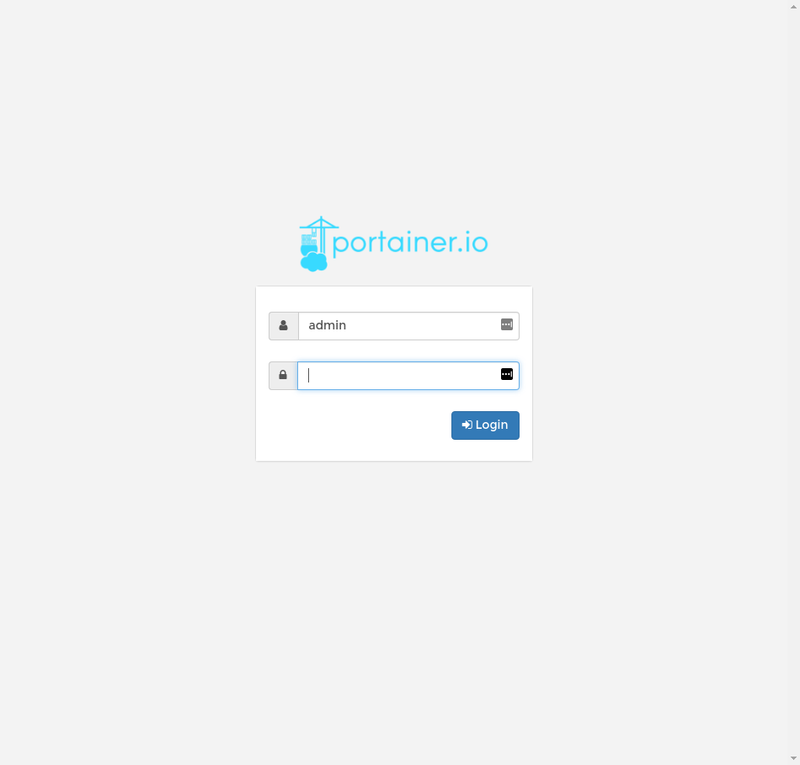 Portainer is simple to deploy - you are just one Docker command away from running Portainer anywhere. 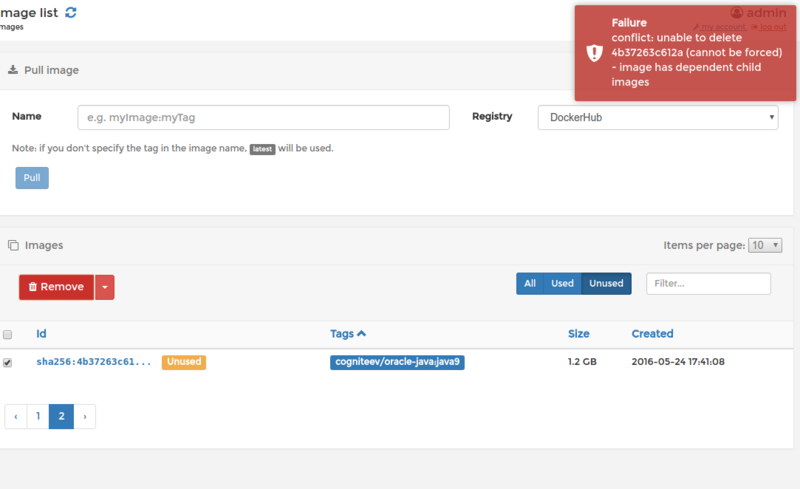 To see container logs, for example, you need to select one of the containers on the Containers page and then click Logs. You can also stop the container and create a new one before you delete the old container. Workloads Shows all applications running in the selected namespace.